Have a strong control of your critical assets even on mobile. 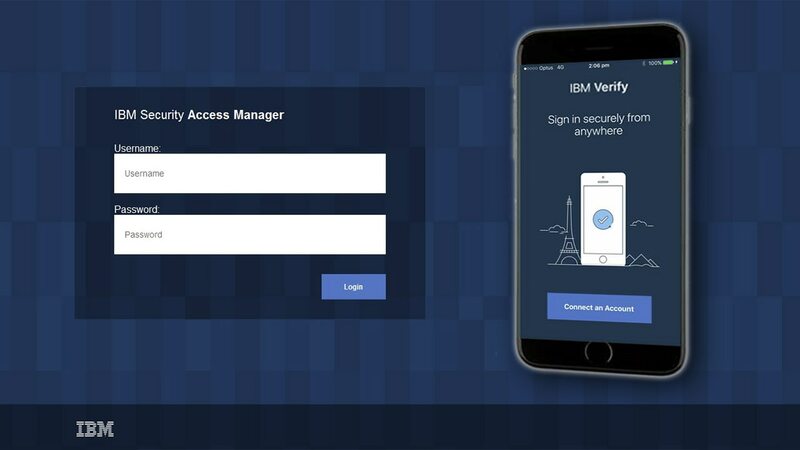 IBM Security Access Manager establishes strong mobile multi-factor authentication that helps you allow, challenge, or deny mobile requests based on risk factors like application data, geographic location and IP reputation. Complex access management systems create complex authentication processes and identity federation helps address this complexity. Learn how federation is possible with IBM Security Access Manager. Ensure strong authentication that goes beyond the username and password. Enable multi-factor authentication or challenge a risky access request with a one time password, email verification or knowledge-based question. Allow your business users to log in to their work applications like Office 365 using fingerprint verification instead of a password. The IBM Security Access Manager's identity federation helps you securely integrate third party SaaS applications into your existing infrastructure while providing your users with a smooth single sign-on experience on desktop and mobile. Adopt risk-based access controls with IBM Security Access Manager's risk-scoring engine. This feature enforces context-aware authorization using information about your users, their mobile devices and other session-based information, without interfering with the end-user's session. Enable password-free authentication to your customer-facing apps and services. Adopt risk-based access controls with IBM Security Access Manager's risk-scoring engine. This feature enforces context-aware authorization using context about your users and other session-based information, with minimal interference. ISAM establishes strong mobile multi-factor authentication that helps you allow, challenge or deny mobile requests based on risk factors like application data, geographic location and IP reputation. Identity federation allows you to securely integrate third party applications into your existing infrastructure while providing your users with a smooth single sign-on experience on desktop and mobile.